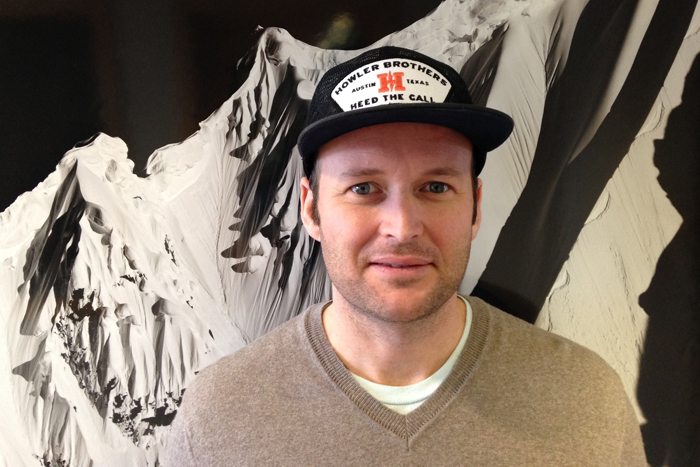 Keith Cozzens was recently tapped by Verde Brand Communications to lead its new Action Sports Division, based in Jackson Hole, Wyoming. With over four years of experience working with brands like Ride Snowboards, K2 Skis, Diamondback Bicycles, Howler Brothers, and more, Keith was the obvious choice to expand Verde's reach into the action sports and lifestyle-driven markets. "The launch of our action sports division is a natural progression for us as an agency right now," said Keith Cozzens, the new Director of Action Sports + Lifestyle at Verde Brand Communications. "Since the agency was founded we've worked, and continue to work, with great action sports brands, and now is the perfect time for us to launch a dedicated action sports division and really immerse our brand in the industry." We interviewed Keith to get the scoop on the launch of Verde's new Action Sports Division and what his role there will be. We also found out about Keith's previous work experience and how he has gotten to where he is today. Keith Cozzens, Director of Action Sports + Lifestyle at Verde Brand Communications. When did you get your start in public relations and communications? My PR career started back in 2007-08 when I started working with Mike Geraci and Dave Simpson at Base Camp Communications in Jackson, WY. It was a boutique shop and we worked with some great, core brands. At the end of 2009, we merged with Verde PR and began to grow our office here in Jackson. Verde now has 26 staff and we work with about 40 clients with additional offices in Boulder and Durango, CO.
How did you get involved with Verde PR? I had heard of Verde in the past, but didn’t get involved with the agency until our merger in 2009. With the announcement of the company's new action sports division, your role has changed slightly - what's going to be different for you? Since the start, Verde has partnered with a good number of action sports brands and, for us, diving deeper into the industry with a dedicated division will allow us to bring our brand communications services to the action sports world and diversify what we do. As the director of the division, my goal is to cultivate great relationships with brands through remarkable work and build our authenticity in the action sports industry. What are you most excited about as the new action sports division is launched? I’m excited about the opportunity. 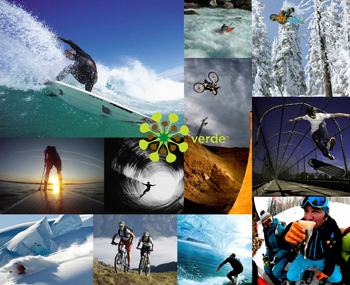 By tapping into what Verde has created over the last 12 years with working in the outdoor, cycling, snowsports, and broad markets and delivering that to action sports brands, we will be able to introduce these brands to new demographics and media channels that will amplify exposure and help move the sales needle. Establishing new relationships and helping brands succeed – that excites me. How do you feel your previous work experience has prepared you to handle this new position? The last six years have absolutely helped groom me for this new role. Having spent time in the trenches creating long-lasting media friendships, working with brands in a variety of industries, new business development, and just being involved and out there has been a super fun ride that I hope to continue with the new division. Having these years under my belt is invaluable. What will success look like for you as the Director of Client Services for Action Sports + Lifestyle at Verde PR? Building a strong division of great people and great brands while being successful and having as much fun as possible – that’s a good picture of what success would look like. Does being based in Jackson Hole, Wyoming have an effect on your ability to service clients? I don’t think so. Jackson is one of those places that is a magnet for anyone who lives an active lifestyle. 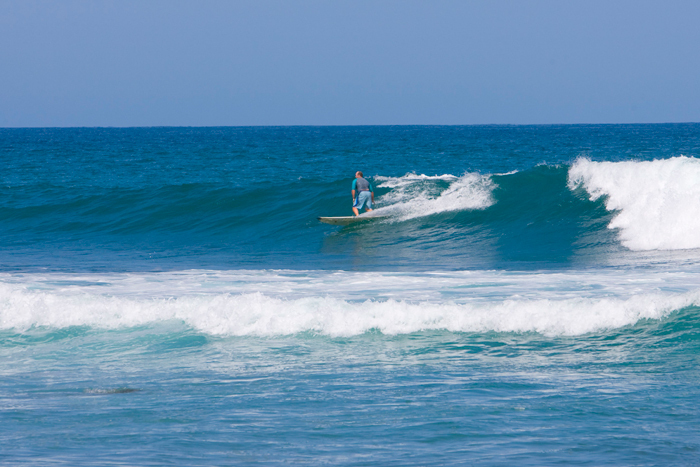 Yes, we are landlocked here and hundreds of miles from the nearest ocean, but, in regards to water sports, we have first-rate rivers and lakes for kayaking, SUP, and, yes, surfing – the standing wave at Lunch Counter on the Snake is pound-for-pound one of the best around. Not to mention the amazing mountain biking, skiing, and snowboarding that this place is known for. Jackson is an ideal place to be doing what we are doing and an asset when it comes to servicing all of our clients. 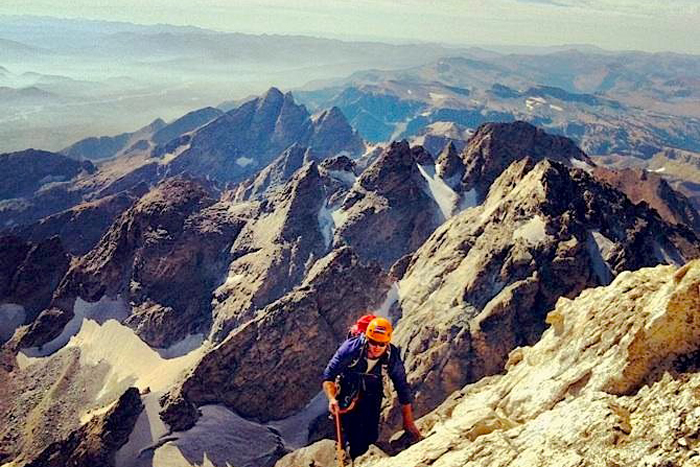 Climbing the Grand Teton, WY. What is a typical day on the job for you? Are you in the office all day? On the road? Can you go through a typical day-in-the-life, if that exists? If I’m in town, I’m in the office. If it’s a powder day or the singletrack is in super-good form, we’re out in the field – product testing! We like to keep a work hard, play hard vibe here. We have nine staff in Jackson – 26 total at Verde – and our office is right downtown and has an open layout, is dog friendly, and has a stocked fridge. Typical day starts with coffee. Then reading up on news – national, worldly, and industry. Then, sifting through emails, phone calls, and other work happens with constant calendar pop-ups. There’s a healthy amount of travel too. From all the trade shows I go to – OR, SIA, Surf Expo, Agenda, Interbike – and client visits, sales meetings, media trips, etc … on average I’d say I’m on the road once a month. How do you balance the responsibility of servicing existing clients with the need for new business development? It’s all about trying to stay one step ahead. If you’re not, it can quickly turn into you getting consumed and overwhelmed. Staying on top of priorities is key. We generally work in 2-3 person teams (sometimes more) when servicing a client, where each team member has their responsibilities. This helps with flow and maximizes the value of our client partnerships. Working new business development into the mix can be challenging when things are super busy, but it’s important for our agency and growingsustainability. I’m always trying to talk to as many people in the industries we work in and keep my finger on the pulse on brands that might be great to partner with and benefit from our services. What has been the most rewarding aspect of working in PR within lifestyle-driven industries, including board sports and snow sports? The people, hands down. The people I’ve worked with and met and the experiences that have been created are the real gems of the job. Executing remarkable work for clients is super rewarding and building long-lasting relationships makes what we do pretty special. 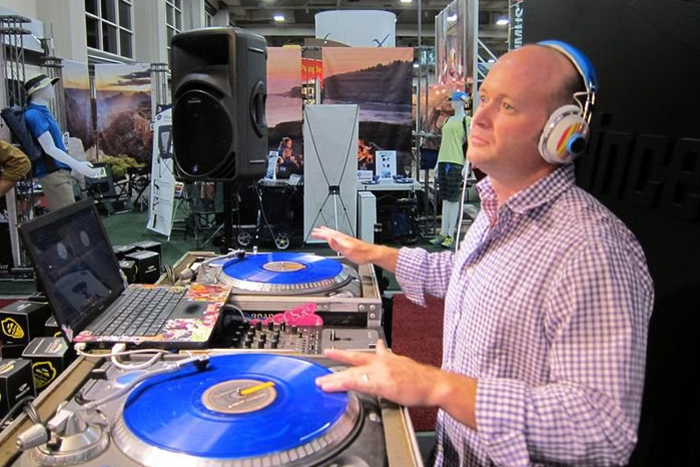 Moonlighting on the 1s and 2s. Wanna keep up with Keith? Check out what he's up to by visiting VerdePR.com and like/follow them on Facebook and Twitter.